Item # 297293 Stash Points: 4,995 (?) This is the number of points you get in The Zumiez Stash for purchasing this item. Stash points are redeemable for exclusive rewards only available to Zumiez Stash members. To redeem your points check out the rewards catalog on thestash.zumiez.com. 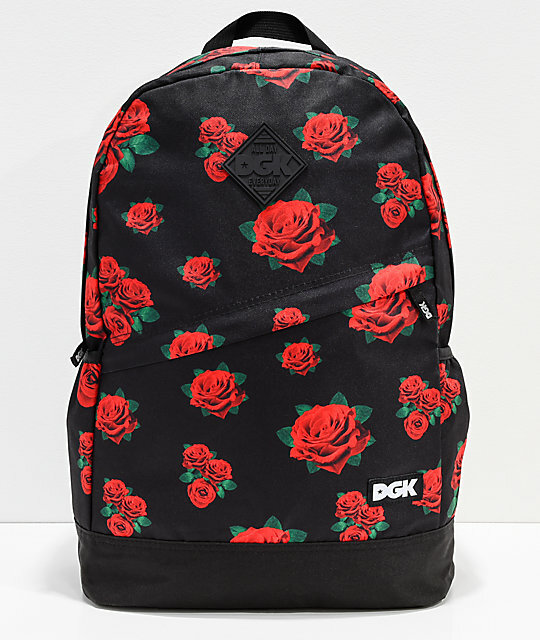 Known for their original designs, DGK strikes again with the Growth black and floral backpack. This canvas design offers more than 17 liters of carrying capacity, making it ideal for anything from a daily commute to a weekend trip. 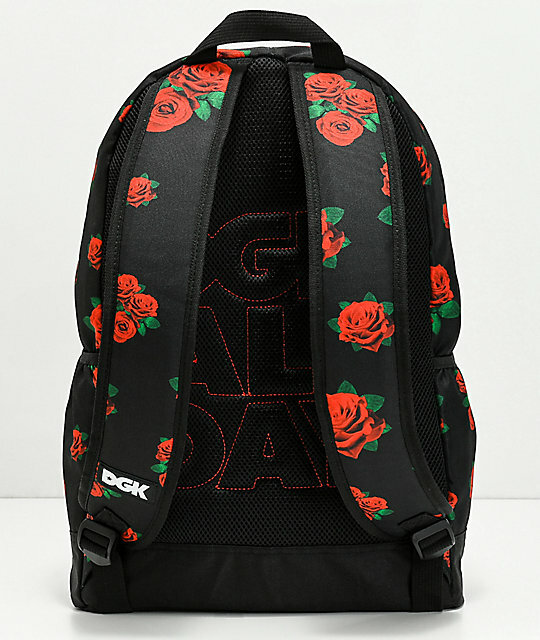 It features a red and green rose print pattern throughout finished with DGK logo patches on the front and DGK logo embroidery on the mesh padded back panel. 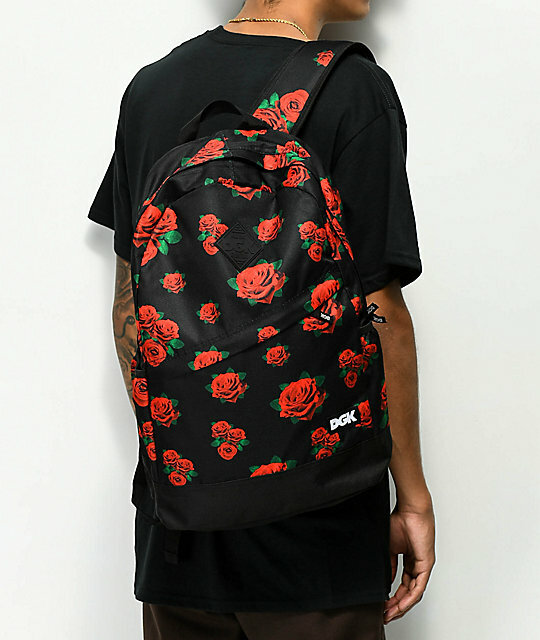 Growth Black & Floral Backpack from DGK. 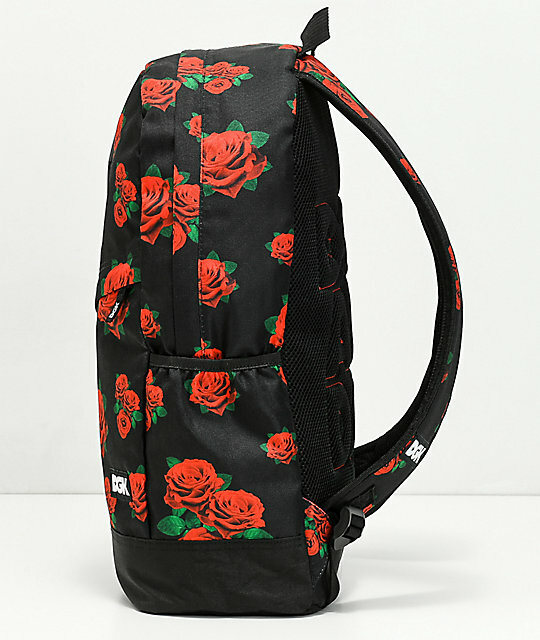 Black canvas construction with red and green rose pattern throughout. 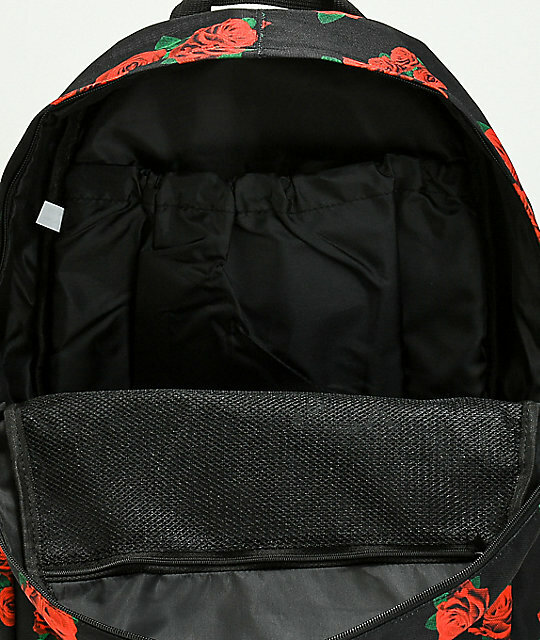 Roomy main compartment with mesh zippered interior pocket. Front slip pocket with interior organizer pouches, a lobster claw hook for keys and a diagonal zip closure. Dimensions: 18" H x 12" W x 5" D | 46 x 30 x 12.5 cm.